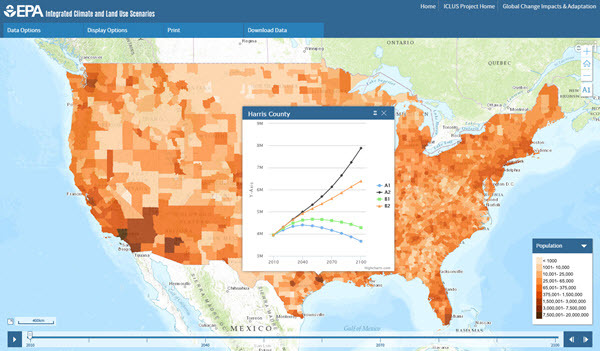 The Environmental Protection Agency (EPA) partnered with Blue Raster to release a new version of ICLUS (Integrated Climate and Land Use Scenarios), richly visualizing climate and land-use model scenarios. EPA intends to use the results of this first phase of modeling to facilitate investigation of additional impact scenarios including water and air quality. This research will enable more sophisticated model runs evaluating effects of projected climate change on population growth and economic development. To let users compare and contrast maps, the application features a side-by-side comparison view. 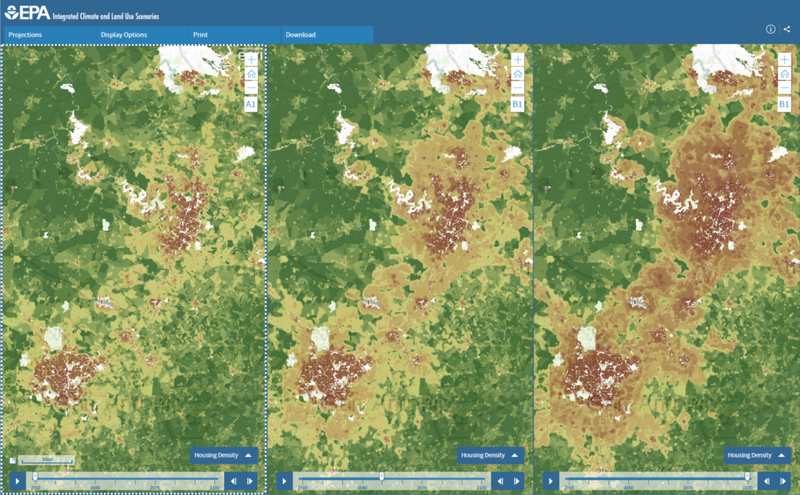 Users can easily view up to four maps in parallel, revealing similarities and differences in density and distribution. The maps can be synced to the same dataset, year, and/or location. Visit and explore the ICLUS tool today.